No images on this site may be reproduced in any form or in any media without prior written consent from Silhouettes Unlimited, LLC. 4” black textured, steel silhouette magnet comes with super strong magnets attached. This magnet is great for holding papers or simply a delightful decoration to make you smile. Attractively packaged in a gold box. welded to a wall mount plant hook bracket. 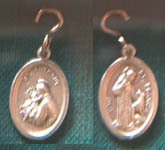 The St Francis charm has a silver finish. It’s 1” X 3/4” in size and clips to a D ring on a collar or lead. The medallion has St. Francis, the Patron Saint of Animals on one side and St. Anthony, the Patron Saint of Lost Possessions on the other side. By placing the medallion on the animal's collar you’re asking St. Francis and St. Anthony to watch over and keep your companion safe. 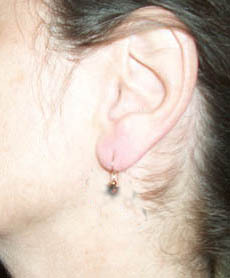 Miniature black textured silhouettes are attached to sterling silver or gold filled findings. Reflective printing on one side. Black with white lettering or White with black lettering. 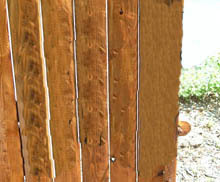 Available for solid fences, or with a second panel (as shown) for chain link fences. Custom wording is available. 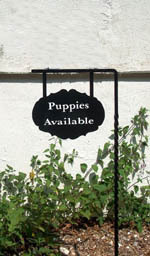 31” long includes, 5 tubular chimes, and a 4” black textured silhouette. Makes beautiful sounds. Perfect on a porch or outdoors. 11.5” black textured silhouette welded to wall bracket with an oval plate hanging down. Custom printing on both sides. 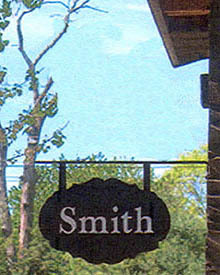 House Number or Estate Names. 11.5” black textured silhouette with holes for mounting. 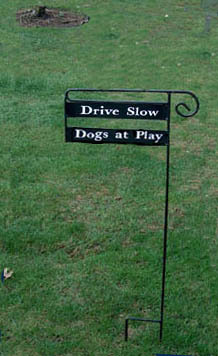 Plaque compliments a wall space, a fence or a gate. 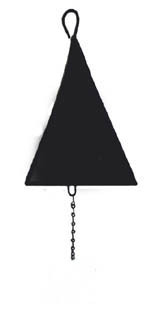 3 sided 12" metal black bell with a 4” silhouette of choice. 11.5” black textured silhouette welded to a 52” high plant holder base. 11.5” black textured silhouette welded to 52” high twisted rod, oval plate hangs down with custom printing on both sides. 11.5” black textured silhouette welded to the top of the 44” stand, 2 rectangular plates welded 1” apart. Custom printing on both sides of each plate.